When Tablet merged with Michelin in late 2018, one of the things that we found ourselves sometimes having to explain to people, particularly here in the States, is that Michelin tires and Michelin Guides are made by the same company. Not all Americans are familiar with the extraordinary backstory of Michelin — how in 1900 a French tire company decided to publish a guide for drivers who didn’t know where to find the next gas station, restaurant, or overnight accommodation. Michelin was the world’s first travel curator, and as the automobile exploded, so did the Michelin Guide. 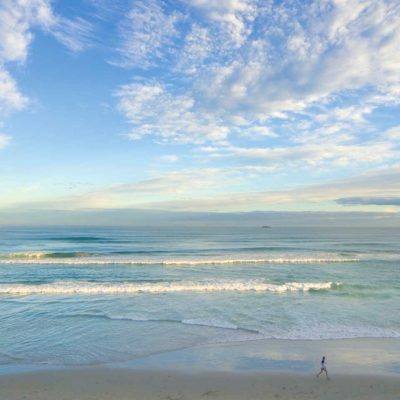 It goes without saying that for a website that recommends hotels, being aligned with the company that essentially invented the genre was a dream come true. Not just because of the global reach of the Michelin brand, but because Michelin shares our dedication to integrity and our unbiased approach to curation. It’s a perfect union, and that’s without even mentioning that many Tablet hotels are home to Michelin-rated restaurants. In basketball, a heat check is when a player takes an extra-difficult shot in order to show off how ‘on fire’ they are. 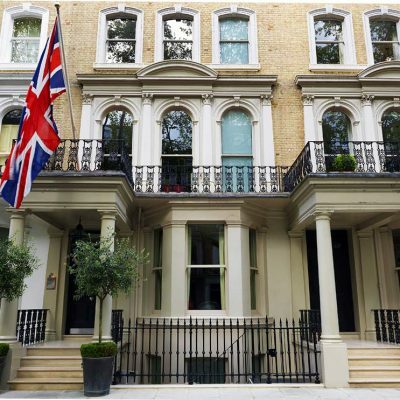 The hospitality equivalent is when a hotel achieves Tablet Plus status and its restaurant is awarded a Michelin star. It’s the ultimate combination, and there are few greater accomplishments. Here are nine hotels that breathe that rarified air. 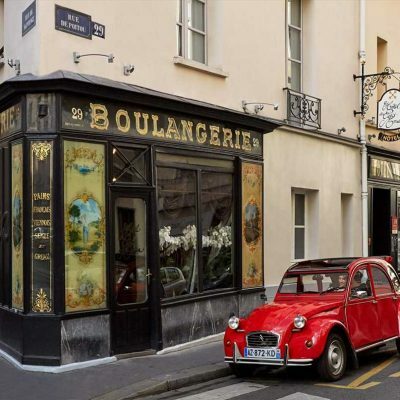 France’s second city rarely tops anyone’s list of travel destinations, perhaps unsurprising given the competition along the neighboring stretches of Mediterranean coast. There’s plenty worth seeing, though, including Le Petit Nice Passédat, Marseille’s most exclusive hotel, converted from two Greek-style villas in 1917 and managed by the Passédat family ever since. 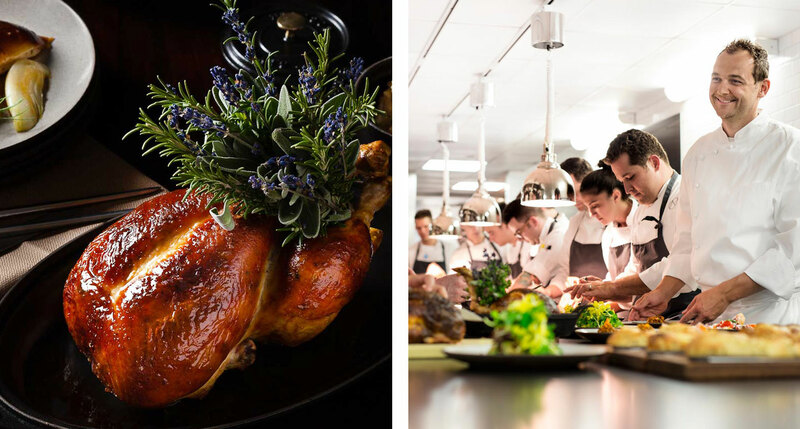 Not just hoteliers, this family is something of a culinary dynasty as well. 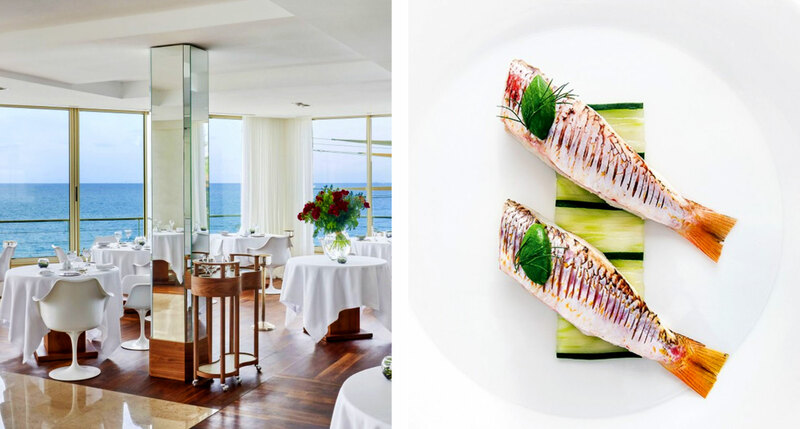 Gérald Passedat and son preside over the kitchen, serving a cuisine that’s sensibly heavy on Mediterranean seafood, whether simple fresh fish or delicacies like sea anemone — and for their trouble they’ve been awarded no fewer than three Michelin stars. Patrons dine in a glass-walled dining room or, in summer, outside in the garden, overlooking the rocky shoreline and the Mediterranean beyond. Das Stue, in Berlin’s Tiergarten district, does not lack grandeur. This Thirties embassy building was built, at least in part, to convey a grand impression — and its atmosphere, after a massive architectural overhaul by Annette Axthelm and an interior renovation by the renowned Spanish designer Patricia Urquiola, is about as far as you can get from the boxes-and-boxes sameness of the typical contemporary hotel. Also Spanish (or Catalan, to be precise) is the chef, Paco Pérez — and it’s a measure of how far we’ve come that the nationality of a hotel’s chef is a topic of interest. 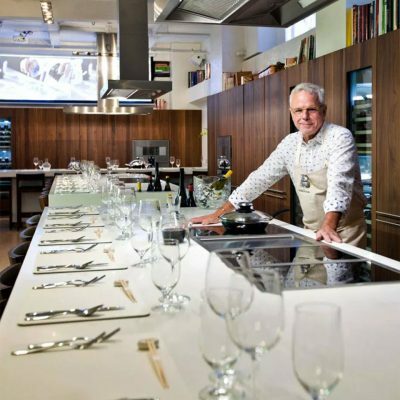 In today’s boutique hotels, however, the chef might have nearly as much influence over the guest’s experience as the designer does, and here that influence is certainly a positive one. 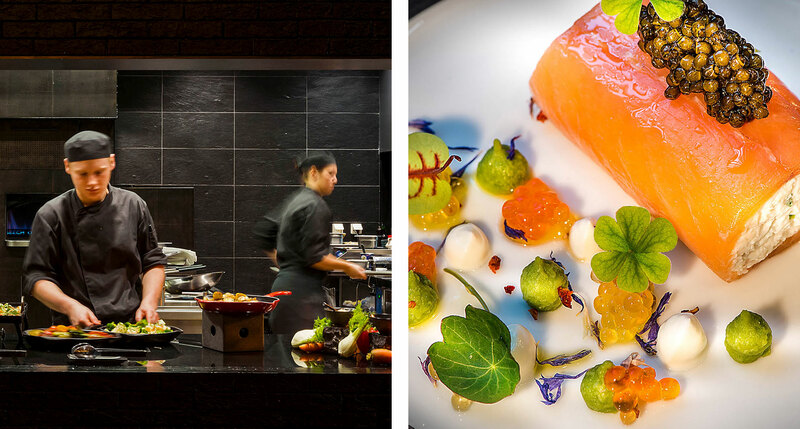 Pérez’s work at Cinco, the hotel’s fine dining restaurant, has earned two Michelin stars along with heaps of acclaim. You could be forgiven for thinking there’s nothing really all that out of the ordinary about Villa Crespi, but only if you had a good reason for thinking it was in Istanbul. As it stands, Villa Crespi is in the north of Italy, less than an hour from Milan, on the shores of Lake Orta — which makes this hyper-opulent Moorish-style palace (minaret and all) one of Italy’s strangest and most extraordinary small hotels. Villa Crespi benefits immensely from a gorgeous natural setting and a suitably countrified slow pace of life, and the villa’s eight suites and six rooms are no less a feast for the eyes. They’re all individually decorated, though all in a similar period style, and aside from the modern necessities, they’re soaked in 19th-century atmosphere. 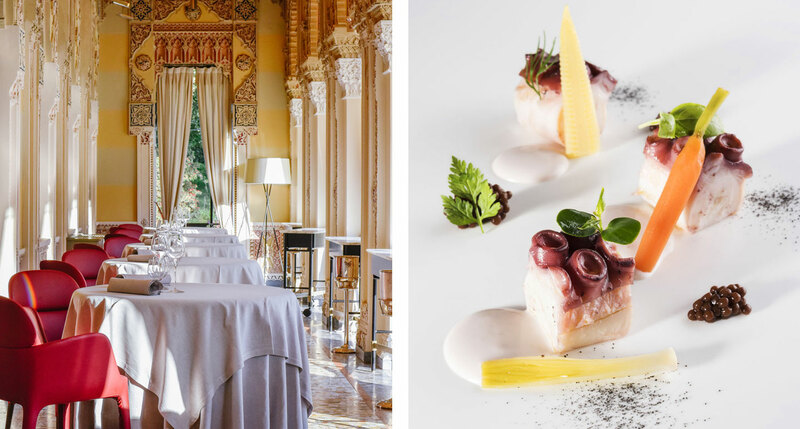 Add a gourmet restaurant with a pair of Michelin stars and a wine list with 1,800 entries, as well as a relaxation area with a sauna, massages, and a variety of spa treatments, and you’ll quickly see why Villa Crespi’s fans are so devoted. 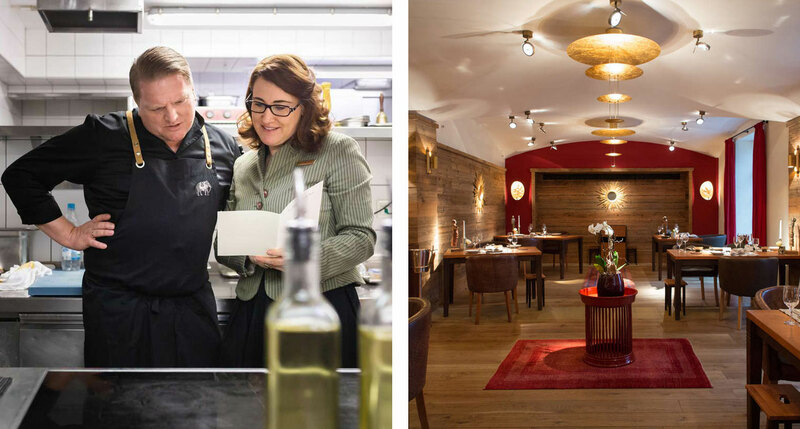 And not every Alpine resort can claim a two Michelin-starred restaurant like Luce d’Oro. 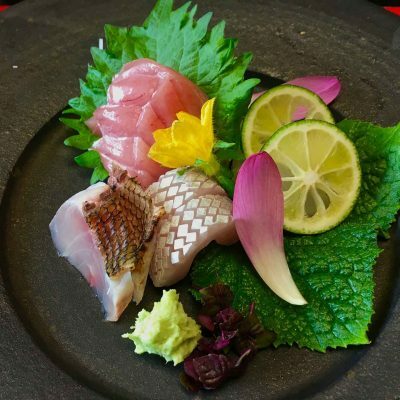 Chef Christoph Rainer bases his culinary style on French cuisine, but uniquely mixes in Japanese traditions and techniques. And then there’s the culture part of the hotel’s name. This is not some token art gallery, but a gorgeous old ballroom, two libraries, and a stunning modern concert hall. On any given day Schloss Elmau might host an author’s reading or a classical or jazz concert, and children are actively encouraged to attend. By now Park Hyatt’s modus operandi should be familiar: traditional hospitality and modern amenities, served under a veneer of chic yet subdued contemporary design. It’s pitched perfectly for Washington’s more style-conscious guests, its interiors soothingly, stylishly Zen, and its service very much up to a diplomat’s standard. 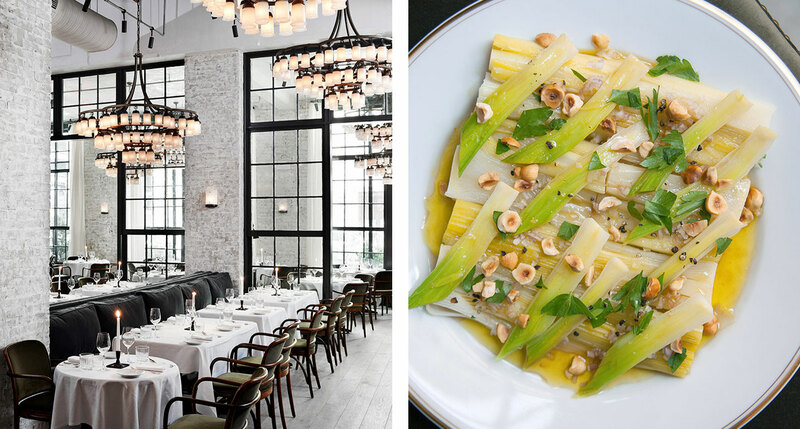 The Michelin-starred Blue Duck Tavern is among the city’s top restaurants, and weather permitting you’ll dine al fresco on the terrace. The Park Hyatt’s West End location makes it convenient for both leisure and business, while a fair bit of unofficial business is transacted nightly in the lounge. In short, it’s a high-end luxury hotel without a hint of stuffiness, which, in this town, is something that can’t be taken for granted. There’s plenty of neoclassical bling on the shores of Lake Como. And historic villas, too, though these days, the centuries-old architecture is outnumbered by extravagant imitations. 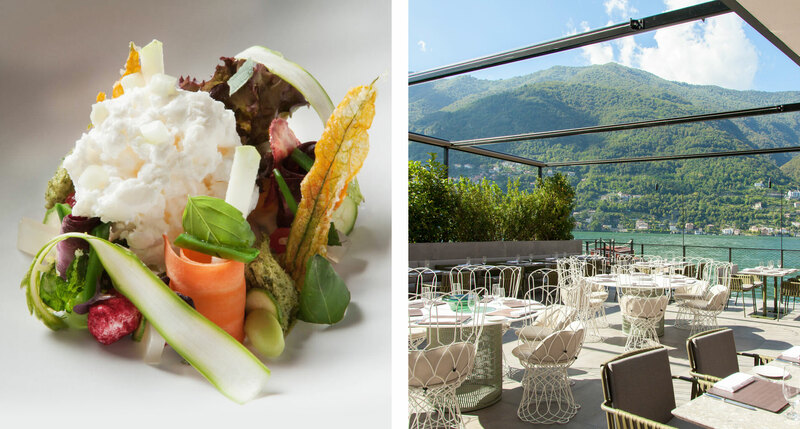 Thankfully the team behind the brand-new Il Sereno, located just outside the village of Torno on the lake’s eastern shore, is taking things in a bold new direction: it is a modernist marvel both inside and out. The communities around Lake Como and along the road to Milan are the longtime headquarters of several artisan traditions, including silk and woodworking. 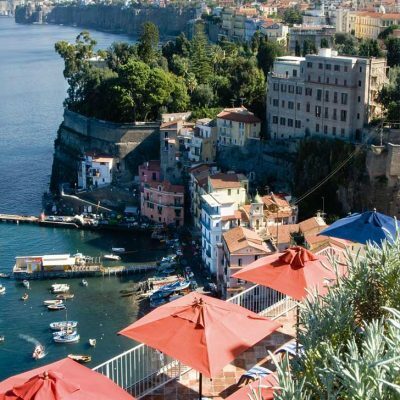 Il Sereno has wisely taken advantage of this fact: with only a few exceptions, its interiors are full of art and design crafted in this region of Italy. 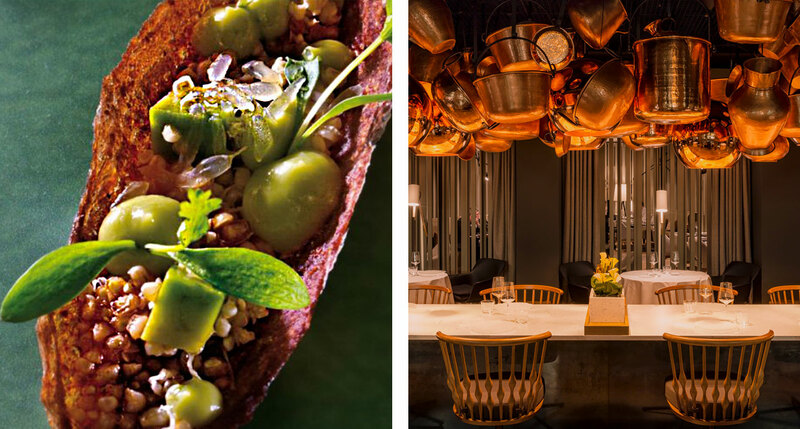 Take the floating staircase in the lobby, for instance, that leads down to the restaurant — a Michelin-starred tour-de-force of regional Italian produce through a contemporary lens — and wine cellar. Intricate and ethereal, it’s something of an architectural feat, made with walnut wood and copper pipes. That stray capital M is a nod to the neighborhood; the district North of Madison Park, which experienced a real estate renewal at least partly aided by the arrival of the NoMad Hotel. There’s a pronounced European accent to what’s got to be the most Haussmannian building on Broadway — and of course the architectural ministrations of the Parisian designer Jacques Garcia only intensify the effect. What pushes the NoMad from stylish pied-à-terre to grand-boutique status, however, is the restaurant — not a single space, but a single menu spanning a variety of rooms, including a cavernous atrium, a private fireplace alcove, and even a handsome two-story library, a little heaven on earth for the epicurean bibliophile. 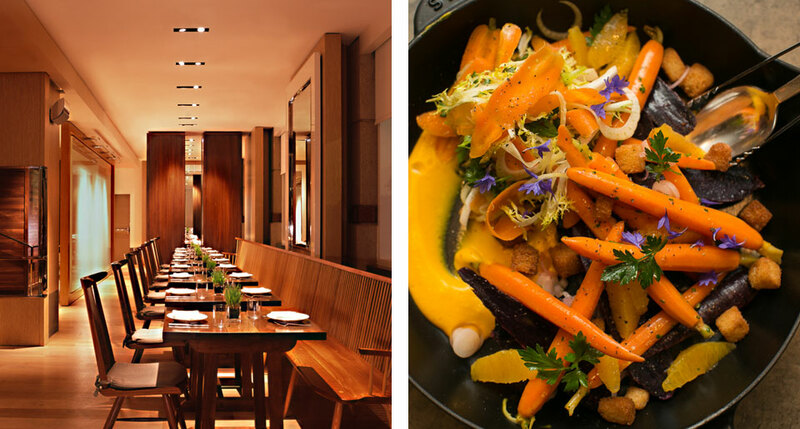 Just don’t expect to have the place all to yourself: your hosts for the evening are Daniel Humm and Will Guidara, famous for the nearby Eleven Madison Park — they’ve got a built-in following and a reputation (and a Michelin star) to maintain, so you might as well pull up a chair and sample the buzz for yourself. SoHo, formerly home to the artists’ lofts that were New York’s 20th-century Downtown signature, has, since around the turn of the millennium, gone steadily upscale — and steadily more international. Both trends find expression in 11 Howard, where contemporary Scandinavian design meets a more inclusive, less ostentatious version of luxury hospitality. It’s the first independent hotel project for architect Anda Andrei, after decades as the designer behind Ian Schrager’s path-breaking boutique-hotel projects. Meanwhile, the location, at Howard and Lafayette, is perfectly placed for shopping, and most of the downtown nightlife haunts are easily enough accessible. The Blond, the cocktail lounge, goes out of its way to prove that you can be glamorous without being militantly elitist, and Le Coucou, the hotel’s French restaurant, was recently awarded its first Michelin star. The development of The Chedi essentially doubled the size of the alpine village of Andermatt — the soaring buildings dwarf the traditional chalets scattered around them. But that said, this is a resort that’s been carefully planned, employing a local staff, built using sustainable materials. Twin fireplaces lend the grand lobby a cozy atmosphere, despite the dimensions and the sleek Asian-inspired decor. Elsewhere within the resort, The Restaurant features a towering cheese cellar and a menu of Swiss and international cuisine, while the sultrier nighttime venue The Japanese Restaurant specializes in sushi and sashimi and was rewarded in those efforts with a Michelin star. The low-lit Wine and Cigar Library has a walk-in humidor and channels the old-world charm of Andermatt. To truly appreciate that charm, though, you’ll have to hit the slopes and take in views of the village from the summit — this is some of the most exciting skiing around.